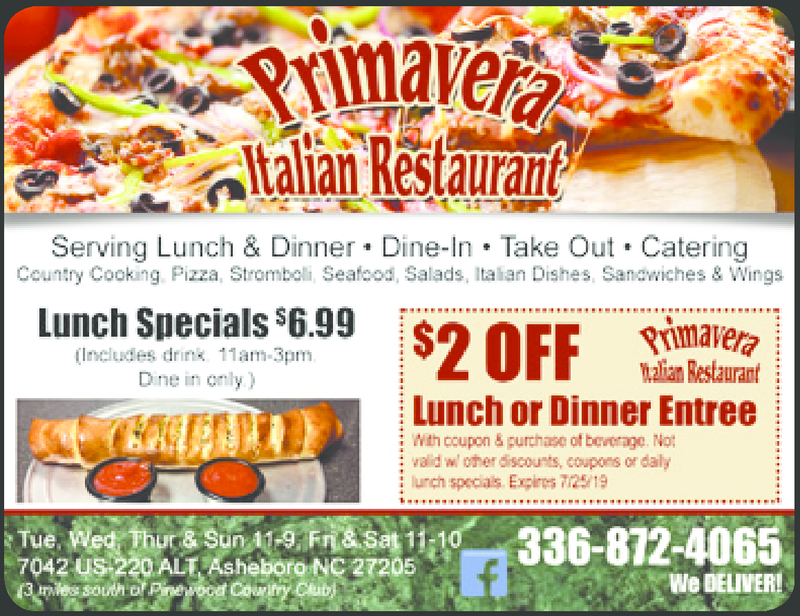 Enjoy delicious country cooking, pizza, stromboli, seafood, chicken, cheeseburgers, salads, Italian dishes, sandwiches, wings and fabulous desserts! Serving lunch & dinner. Dine-in, take out, catering. Try us!